The USA, Israel and the Middle East: Where is It All Going? 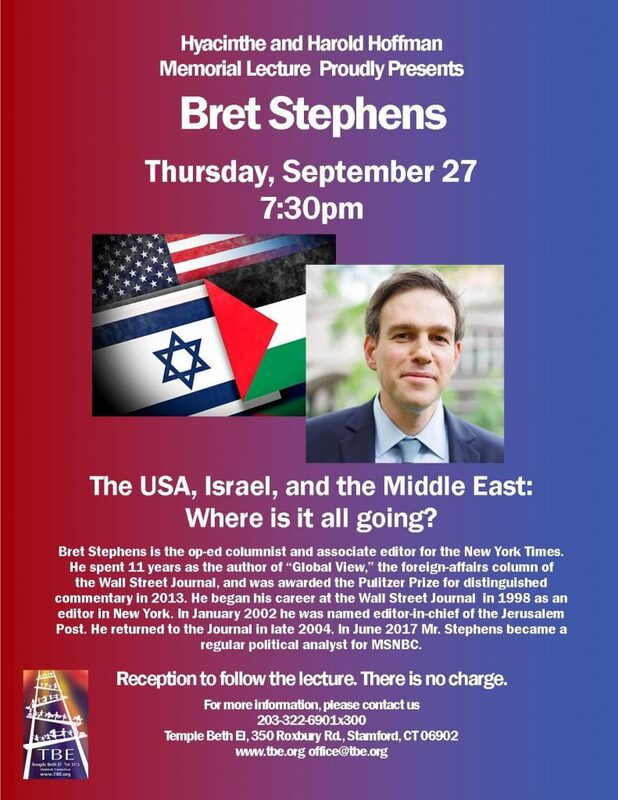 Special guest: Bret Stephens, op-ed columnist and associate editor the the New York Times. The lecture is sponsored by the family of the late Hyacinthe and Harold E. Hoffman, former members of TBE and the Stamford community who were dedicated to many civic and Jewish causes.